Many people have literally built their own pole barn buildings – from digging the post holes, until the last screw is driven. Some do portions of the work themselves and hire a builder to drive the nails, while others employ a general contractor to do everything for them. Most adore their new buildings. Some are deeply disillusioned. 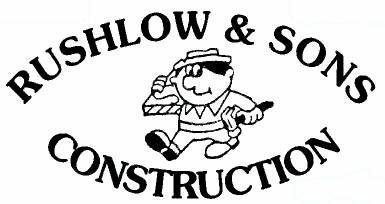 Before you commit all your time and money to building your “perfect” pole barn building, check with Kirt at Rushlow & Sons Construction. Before you ever begin to shop for a price on a pole building, contact your local planning department to find out if permits are required, what their restrictions might be, as well as any building code requirements. In the event no permit is required, which would be unusual, calling a local contractor can help you with your plans. In the event you resell your property, either a Certificate of Occupancy (issued by a building department) or an independent inspection may be required, to assure the building was built properly.